A term insurance plan is the purest form of a life insurance policy. Here, the sum insured is paid to the nominee if death occurs to the insured person during the term of the policy. In the happy situation that the insured survives the term of the policy, nothing is payable in most cases. In that sense, a term insurance is conceptually similar to a long term motor insurance policy. There are certain term insurance products where the premium is returned to the policyholder if he (s) survives the policy period. These policies are called Term With Premium Back policies, and would obviously cost more than a pure term for the same level of life insured. 1. Level of sum insured: A broad rule of thumb is 15 times the annual income if one is less than 40 years of age, 10 times the annual income if one is between 40 and 45, and 5 times the annual income if one is 45 or more. If you have a significant housing loan, you should have that loan covered through an additional credit life insurance plan, where the insurance company would settle the loan outstanding with your bank if there is a death. Another approach is Sum Insured = (total loans outstanding+ amount required for children’s education and wedding) + (average annual consumption related expenditure ) *10 . One should also bear in mind that one’s earning potential and expenses are likely to increase through the years, and that we have a high rate of inflation which will continuously erode value. Rs 50 lakhs today might look like a tidy sum, but twenty years later it might not be significant at all. 2. Duration of the policy: The younger you are, the longer should be the duration of the policy that you purchase, synchronizing it with retirement age or the age at which one’s financial liabilities would most probably reduce. A rule of thumb that can be used is that the term of the policy should be equal to Desired Retirement age – Current age. 3. When should I buy: The best time to buy a term insurance plan is NOW. This is because term plans get more expensive as one gets older. The biggest risk is that one might contract certain diseases with time which makes entry into a term plan more complicated. The insurer might refuse to underwrite the risk or bump up the premiums if you have reported any medical condition. Future is uncertain while the financial liabilities are predictable, and leaving behind a set of crippling financial liabilities for one’s dependants is irresponsible and avoidable. 4. Should I buy additional protection through Riders: Riders for an insurance policy are similar to the extra toppings on a pizza. A pure insurance policy pays out only on death. But there can be situations such as a critical illness or a severe accident which can completely eliminate one’s earning power. Riders such as Critical Illness riders or Permanent Total Disability riders come to the rescue here. These riders ensure that the sum insured is paid out to the policyholder in case any of these unfortunate situations occur. 5. Who should I buy from: At the end of the day, an insurance contract is a contract of trust between the life insured and the insurance company. You should buy your policy from someone who you feel will honour the contract the best at the time of the claim. You can have a look at the IRDA site for the claim payment ratios of the life insurance companies. 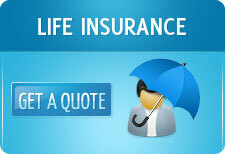 Estimates show that in 2011, about 16000 life insurance claims will be rejected. Price is also a very important variable. Term insurance rates have come down significantly over the last two years because of price competition and increased life expectancy. Thus, you have a wide choice of 20+ insurers from whom you can buy. Look around aggressively for the company offering among the lowest prices on web sites such as www.policytiger.com. Companies such as Aegon Religare, ICICI Prudential, MetLife and Kotak Life have the cheapest rates. b. It is fast and simple- would not take more than 10 minutes. d. Certain companies such as Aegon Religare, MetLife and ICICI Prudential have exclusive products only for online sales where the commissions are lower, and thus the product is cheaper than offline products. Sometimes, the online version might be cheaper than the offline variant by as much as 30%! Internet and Mobile Association of India (IAMAI) estimates that about Rs 600 crores of insurance premium was paid online in 2010. While a part of that would be renewal premiums, a significant chunk of that would be new term and health insurance policies bought online. Diversifying your coverage gives you choices. It's very Helpful for a person who is looking for a Insurance Policy..
Do we need to mention all other insurance policies already purchased while buying term plan i.e. life insurance?